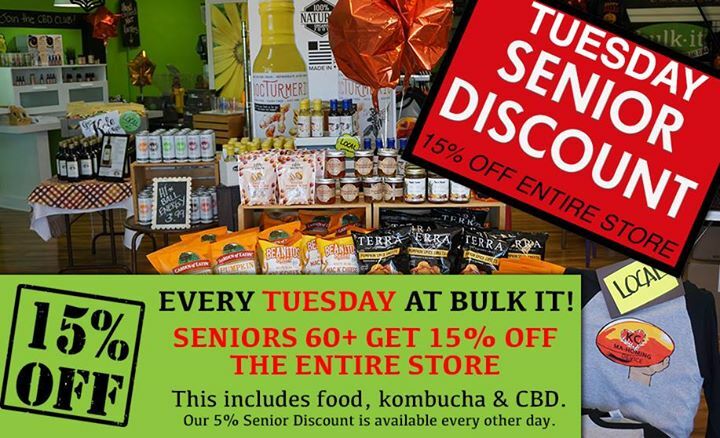 STARTING TODAY AND EVERY TUESDAY 😍 SENIORS 60+ get 15% OFF our entire store! This includes food, kombucha and CBD. Our 5% Senior Discount will still be available every other day of the week.